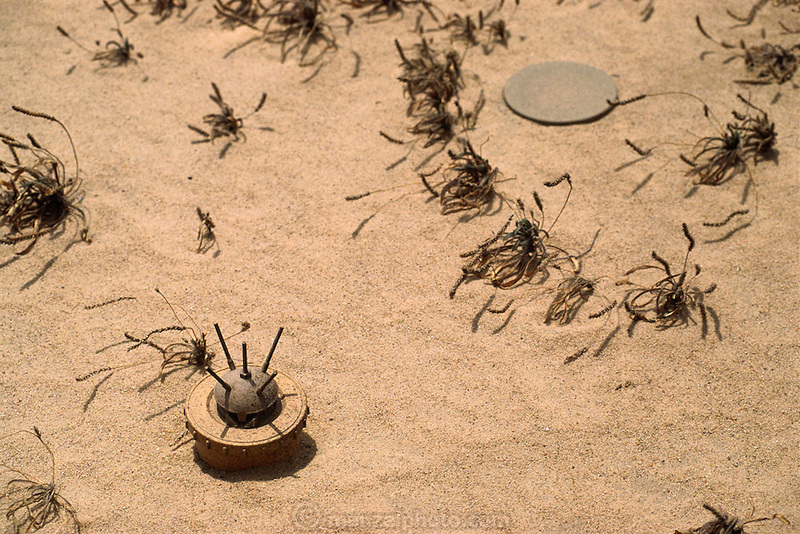 An unexploded landmine in the Manageesh Oil Fields in Kuwait near the Saudi border. Huge amounts of munitions were abandoned in Kuwait by retreating Iraqi troops in February 1991. Also, nearly a million land mines were deployed on the beaches and along the Saudi and Iraqi border. In addition, tens of thousands of unexploded bomblets (from cluster bombs dropped by Allied aircraft) littered the desert.